Why Is Football So Important to Germans? Before you begin working your way to foreign language fluency, it helps to understand the culture behind the language you’re learning. After all, language exists to help a group of people express their ideas and beliefs. Germany is an old country with a rich history and culture. As you begin your German language program, gaining a strong grasp on this history, the values, and the etiquette will help you rapidly achieve success. In particular, Germans have a passion for sports and athletics, specifically, the vital role of football in their culture and as the foundation for the German image. Organized sport and fitness in Germany goes back to the sunny and happy golden years of the Napoleonic Wars. Similar to how Lord Robert Baden Powell envisioned the Boy Scouts, Germans used organized sport and fitness as a way of getting kids trained for war. (Today, the football, tomorrow, a man’s head.) Most of the actual sports clubs are only from the turn of the 20th century when the “Turn- und Sportverbände” (gym and sports associations) movement got going. One sports club that’s a bit older, and isn’t really IN Germany anymore, is the Turnverein, who supported the 1848 revolutions and got kicked out to America for their trouble. A bit of connection between Germany and America there. One non-sport-but-still-athletic movement that began in the 1920s is the Wandervogel (“Birds of Passage”), which promoted closeness to nature, outdoor activities like hiking, and folk culture. And then in the 1930s the Nazis made all the kids join Hitler Youth and forget all the more wholesome movements. And then after the war the East Germans touted physical fitness as a matter of prestige for the regime. Hm. It sounds like there’s an easy connection for Germans to make between sporting prowess and martial prowess. Might want to keep a close eye on that….says the writer whose football games all start with giant displays of American flags. Germany continues to be full of sports enthusiasts. Especially when it comes to soccer (“Fußball”). German soccer stars have become world celebrities as the German teams have won four World Cups and three European cups. (The German team has also been the runner-up in the world cup three times, and runner-up in the European Cup four times.) But Germans also avidly enjoy tennis, time-out handball, basketball, shooting, riding, hockey, cycling, Formula One motor racing, golf, skiing, boxing, and many other sports. In this enthusiasm, they not only follow their favorite teams, they actively participate in sports, and join clubs for tennis, hockey, riding, cycling, jogging, walking, and climbing. On the Autobahn in the summer you will find many large cars carrying touring and racing bikes, kayaks and canoes, and boats. And in the winter you can go skiing or to an ice hockey rink. Be aware, German ice hockey fans like to make a lot of noise. Either join the shouting or bring earplugs, and enjoy seeing some excellent teams. The German ice hockey league is considered one of the best worldwide. Not as high on the list as the NHL or the Russians, but standing at a respectable 8th place worldwide. A soccer tournament revealed changing views around the world about the German nation. Strange as that might sound, there is evidence to back up the statement. Germany hosted the 31-day 2006 FIFA World Cup, a soccer spectacle that gains attention throughout the world. Although Germany finished third, its team performance and the ability to successfully host such an event apparently influenced perceptions. 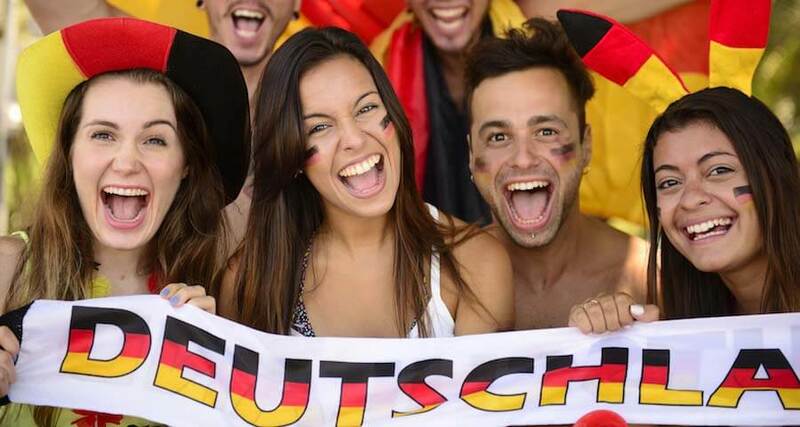 In the annual National Brands Index, a global survey of consumer sentiment, Germany ranked higher after the FIFA World Cup than the marks it set prior to the tournament. Respondents in 20 different countries considered questions about Germany as a tourist destination, as a political entity, and even as an exporter of products. The result was that Germany ranked as second most-valued among 50 nations by 2010. Another survey from the British Broadcasting Corporation found that Germany had a decidedly positive influence on the world in 2010. It showed 59 percent of those surveyed held a positive view of Germany, while only 14 percent harbored negative views. Was a good soccer experience the sole reason for these perceptions? Some point to other factors, such as the country’s stands for the rights of homosexuals and people with disabilities, or its record promoting gender equality. But immigration policy is another area where Germany has attracted much attention. In a country where about 20 percent of the population was non-German in the mid-1990s, the overwhelming consensus was that this nation did not welcome immigration. In the years since then, there has been a strong acknowledgement of the positive roles immigrants play in German society.